As an industry leader, Emed supports these changes in making sure you get the best possible supplements suitable for your health conditions. 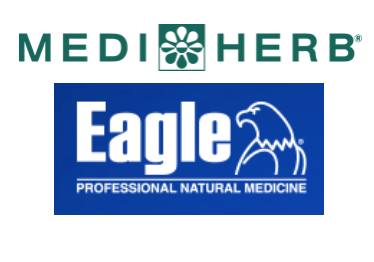 Emed is continuously working with our supplier companies to support the Natural Medicine industry and keep Practitioner Only Medicine in our clinics, prescribed only by qualified practitioners. If you require any additional product information or have any questions regarding these changes, please do not hesitate to contact us on 1300 00 3633. So it appears that means in order to find out ingredients we have to contact you about every single product, even though as soon as we hear the ingredients it may be an entirely inappropriate product? Seems very unnecessary and time consuming for both customer and practitioners, I can’t understand why an ingredient list can’t be provided – seriously what is the harm! Especially given emed only dispenses products to people they’ve consulted with, thus allowing/denying selling certain products, so how does this help? You support this change so please let me know what I’m missing, to me it just sounds highly inconvenient and time wasting and I personally will most likely bypass Eagle/Medi Herb products now as not everyone has time to ring/email re every last product they’re considering and ask for ingredients (only to discover they may have wasted their time if the ingredients are inappropriate for them), and I’ll simply go with other companies who are happy to list ingredients of their practitioner only products. Thanks for your comments and concerns. Unfortunately this is a new requirement from Mediherb/Eagle and we are only allowed to display this limited product information. We understand this is very frustrating for you but for the time being, this is how these products will be seen. If you have any comments or concerns please feel free to contact this Integria directly on 1300 654 336. How totally ridiculous that you cannot show the ingrediants. As a breast cancer survivor there are certain herbs i cannot take. I might have purchased this product – but considering i cannot see ingrediants its your loss. MLA Queensland. We understand that these changes are frustrating and will alter the way you purchase these products. Emed supports tightening up the availability of practitioner only products. As these products require a prescription from a practitioner, any herbs or nutrients which are contraindicated with your health conditions or current medications will be taken into account when formulating your personalised prescription. Remember that Emed Practitioners are available for consultation 9am – 5pm AEST. Simply give us a call on 1300 00 3633. Very responsible move, as use of these products need to be overseen by professionals – not self prescribed. And with your online Practitioners there shouldn’t be any problem sourcing professional advice. I see my own Practitioner, but because I live in a rural town, online is easier for me. Soon you won’t be able to sell Eagle or MediHerb products on your website. This is silly! These restrictions only serve to inconvenience (not to mention aggravate) those of us who need to read about and compare multiple products, in our own time and keep this info for future reference. I do not appreciate that I have to make expensive 1300 calls on my mobile during business hours – when I’m at work, to ASK for more information and have to absorb and remember everything on the spot. We should have the right to have easy access to this information, to enable us to make the right choices. What difference does it make to restrict product information when you can order the products anyway?? This is taking a backwards step. I was contemplating purchasing this product, but as I cannot find what is in it, I will simply revert back to my previous supplier. It’s hard to believe anyone could be so stupid as to restrict commonsense information! Unfortunately appears to be another road block of being able to be in control of our own health & wellbeing, & having to rely on someone else to tell us what we need. Sadly I always look at the ingredients straight up (and research them), its law on food packaging to provide the ingredients on items that people consume on the grocery store shelves, so why would it be any different for vitamins online, we need to know & see whats in them. I do see there point however in trying to get people to get the right information b4 they take vitamins though as I can have some nasty consequences if taken incorrectly. I believe it is a legal requirement to list ingredients – how else can we make an informed purchase? This is crazy marketing mentality! I too think this is an annoying and completely unnecessary precaution – against what exactly? These products can only be obtained from a practitioner, so the consumer is already protected. I just don’t get the point. It would be in Integria’s interests to reconsider their stance as I am sure prospective purchasers will look for alternative products.